Tired of Netflix buffering, and FaceTime dropping? We have solutions to help you extend or boost your Wi-Fi signal throughout your smart home. We're betting you're pretty fed up with your home Wi-Fi. It's too slow, which means way too much Netflix buffering. There's not enough Wi-Fi: like someone turning on the hot water while you're showering, someone else in the house accessing the web suddenly slows your connection to a crawl. There's too many dead spots: you get great signal in the kitchen but not so much in the bedroom, and forget anywhere outside and around your domain. 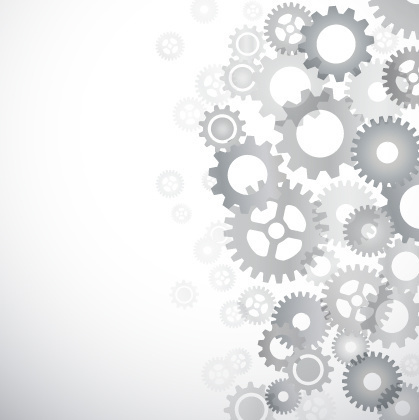 Luckily, there are solutions to most these problems. Too slow Wi-Fi? Get your cable company to install a new cable modem that supplies the latest 802.11ac Wi-Fi specification. Not enough Wi-Fi? We're afraid you'll have to spring for a more expensive internet plan from your cable or ISP provider. For busy Wi-Fi households – lots of family members streaming lots of video or music, including Skype and FaceTime video calls, and especially if someone works from home – 100Mbps is probably the minimum plan you should consider. Too many Wi-Fi dead spots? Until now, there was a dearth of solutions. These consisted primarily of getting a new router that promotes a wider coverage area, and/or adding a Wi-Fi extender, a small device you plug into an AC outlet near a Wi-Fi dead zone that grabs faint signal from your router and amplifies into the heretofore dead, zone. But this Wi-Fi extender is like a second router, requiring a whole new network name and password. Suddenly, you are forced to access different Wi-Fi networks in different parts of your home. Not good. But some new products help deal with this dead spot dilemma. 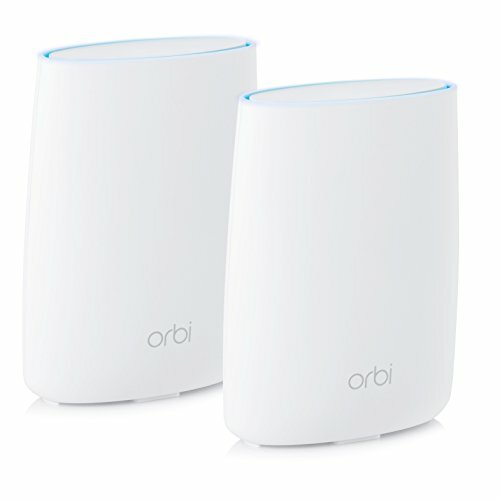 A month ago, we told you about the Netgear Orbi, a new type of Wi-Fi router. Instead of a single router, Orbi is a multi-unit (node) system that creates what's called a "mesh" network – a single Wi-Fi network that covers your entire home. You plug one node into your cable or DSP modem, then plug a second node into an AC outlet where Wi-Fi reception is weak. The two nodes then create a "mesh" network, one super-large Wi-Fi network. eero earns the honor of being the first device to use Wi-Fi mesh. If you need more Wi-Fi in more distant, outer reaches of your estate, simply add more Wi-Fi mesh nodes. This Wi-Fi mesh idea is spreading; the Orbi isn't even the first. That honor goes to the eero router system($199 for one, $349 for a two-pack, $499 for a three-pack) – and, yes, "eero" is spelled with a lowercase "e" – released last February. Orbi and eero have been joined by the Amplifi from Ubiquiti Networks, which comes in three varieties, each with a base unit and two nodes: the standard Amplifi system ($199), the Amplifi LR for Super Long Range ($299) and the Amplifi HD for High Density ($349, available for pre-order). 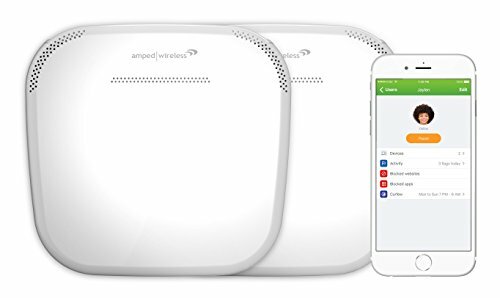 Coming soon is the Ally from Amped Wireless, which will come as a single ($199.99) and the two-node Ally Plus ($379.99). And due to arrive in mid-November is the Portal ($149) from the San Francisco-based Ignition Design Labs, a Kickstarter start-up. While offering similar Wi-Fi mesh benefits, the varying form factors of these systems are surprisingly different – and none bear any resemblance to any Wi-Fi router you have ever seen. For one thing, all of these mesh systems are gleaming white rather than the usual forbidding black. 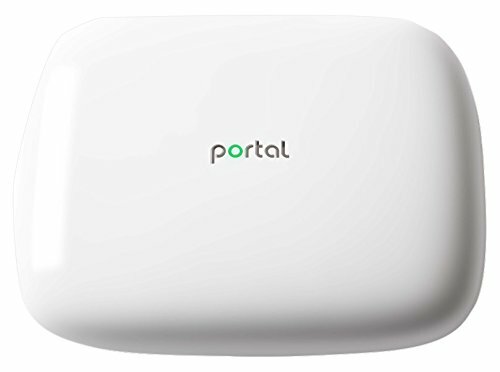 Portal's all white Wi-Fi solution. 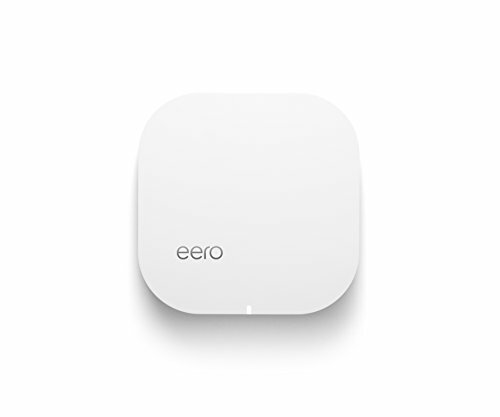 Admittedly, the eero, the ALLY and the Portal are stylistically similar; each are flat white contoured boxes around six inches square and around an inch thick. But the Orbis are closer to the form of a standard cable modem, nearly 9 inches tall, 7 inches wide and around three inches thick. And the base modules of the good/better/best three-piece Amplifi systems are a small softball-sized box, and the two included nodes are each tall and thin. Feature-wise, these "smart" Wi-Fi systems are more similar. The nodes know each other, so they automatically find each other when plugged into AC, simplifying set-up and expansion. All purport to be more easily initially set-up using a smartphone app rather than the usual complicated procedures required for setting up a standard router via a PC. And the smartphone app can then be used to set-up, secure and configure your mesh network, including parental controls. Each mesh system also offers wide, albeit different, coverage ranges. eero, for instance, recommends you place one node every 1,000 feet, advising that a single unit is "perfect for a studio apartment," while two eeros will deliver Wi-Fi throughout "small homes and apartments." The other mesh system suppliers are more coverage specific. Portal purports to provide Wi-Fi over 2,500 square feet. Netgear notes its two-module Orbi can effectively envelope 4,000 square feet with Wi-Fi. The varying Amplifi versions are rated to cover either 10,000- or 20,000 square feet. And Amped Wireless astonishingly claims two ALLY nodes will blanket up to 15,000 square feet of space with wireless connectivity. Orbis can talk to each other without Wi-Fi. Just as their form factors are slightly different, each of these Wi-Fi mesh contenders present unique or bleeding-edge technological advantages. For instance, Netgear has built-in a third network so the Orbis have a dedicated channel over which to talk to each other, and therefore not use up valuable Wi-Fi bandwidth needed by the devices you connected to it. Amped Wireless stresses ALLY's extra security against malware and phishing attacks from a company called AVG. Amplifi adds that its adjustable antennas optimize signal reception, thereby improving connectivity. Amplifi is a three-piece Wi-Fi system. Most uniquely, Portal accesses a unique swath of spectrum no other router, mesh or otherwise, does, the so-called Dynamic Frequency Selection (DFS) bands, heretofore reserved for air traffic weather radar. Since no other router made uses these DFS bands, there'll be no interference from your neighbors' Wi-Fi, which means smoother and faster connections in a busy urban apartment hive filled with competing and conflicting wireless signals. But regardless of their coverage or technological claims, and most importantly, these mesh systems all are designed to streamline your Wi-Fi connectivity, to spread Wi-Fi not only all over your home but to outside areas as well so you can get Wi-Fi in your backyard and all around your home so you can install wireless smart lighting and security cameras, set-up outdoor wireless speakers or just access the Web from your portable devices while lounging in the sun. 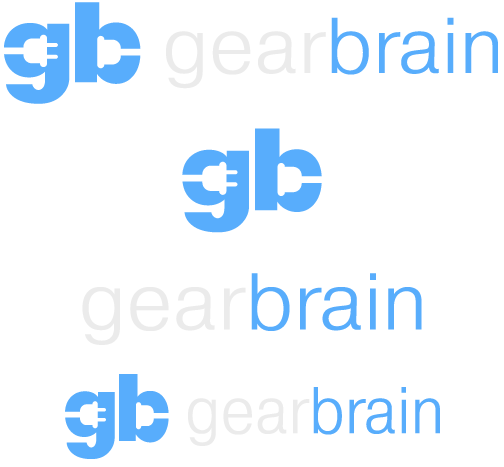 We either have or are in the process of procuring review samples of all five systems. Over the coming weeks, we will bring you more specific reviews of how these systems perform against standard routers and against each other.